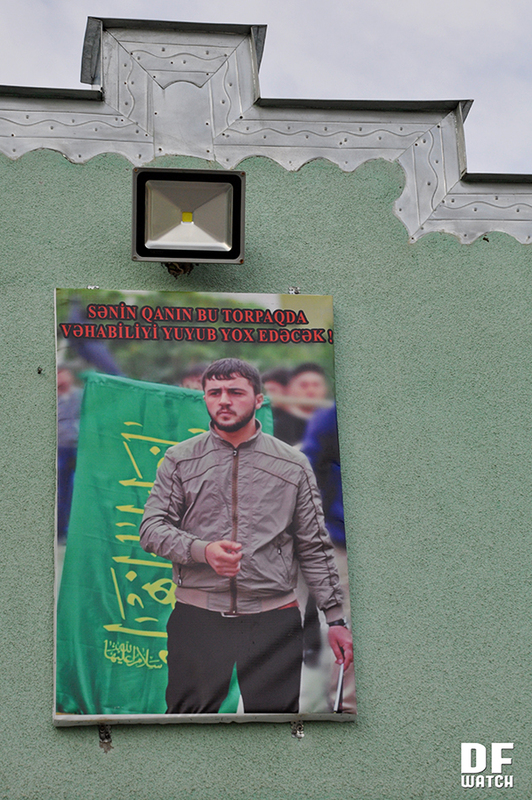 TBILISI, DFWatch–A picture of a young man hangs in the yard of the Shia mosque in Ponichala, a suburb of Tbilisi known as Soghanlughi, or Soğanlıq in Azeri language. A note is attached to it, saying: ‘Your blood will annihilate Wahhabism and wash it off this land’. The man in the photo is Pikrat Akhmedov (Fikrət Əhmədov), who was 22 years old when he was murdered on December 28, 2015. Pikrat suffered fatal injuries, and the suspect – still at large – is his long-time friend Ramin Sayev. There are two different version of how the young man was murdered. Local Shia claim the motive was religious and that Isayev (30) murdered his friend because he told a TV journalist that in his village, radical Muslims known as Wahhabis were gathering in a basement. Salafi Sunnis tell completely different story. They claim there was a crime-related dispute between the two friends, and that Shias are attempting to turn a criminal incident into a religious conflict. On December 28, Ramin Isayev along with Akiv Tanerverdiyev, a friend of his, arrived at the local shop in the centre of Ponichala to see Pikrat Akhmedov. After a short quarrel, Isayev stabbed Akhmedov several times with a knife and ran away. Two days later, Akhmedov died at the hospital. 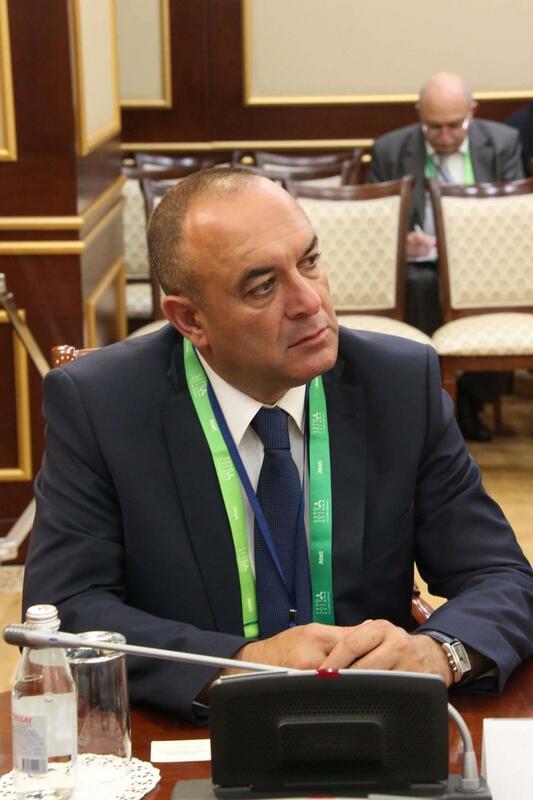 Isayev managed to escape and cross the border into Azerbaijan. A week ago, Akiv Tanerverdiyev was arrested. Akhmedov’s family showed DFWatch a video of Tanerverdiyev’s detention, where he yells ‘Allahu Akbar’, after which he swears and insults the victim, Akhmedov. In this southeastern suburb of Tbilisi along the road to Rustavi, there is a village near Kvemo Ponichala officially called Ponichala, but locals refer to it as Soghanlughi. 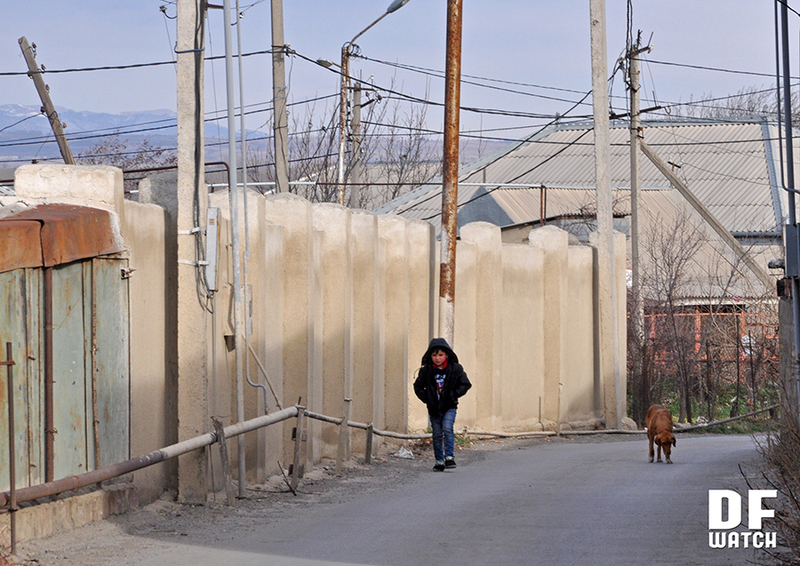 The vast majority of the population here are ethnic Azerbaijani, and they are Shia Muslims. However, many locals speak about an increase in the number of radical Sunni converts, Salafis, generally referred to as ‘Wahhabis’ in Georgia. The rise of Salafism has enraged local traditional Shia Muslims, who have been protesting it for years and demand a prohibition of gatherings of Wahhabis. Locals also protest construction of a Wahhabi mosque. In May 2013, there was a rally. 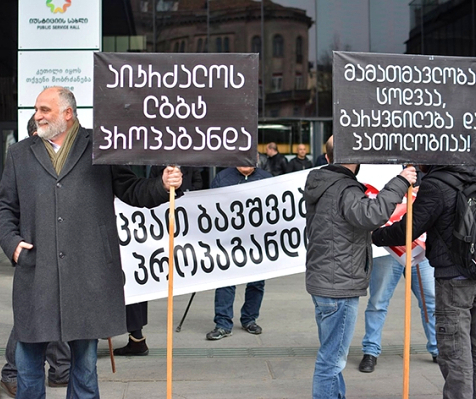 People collected signatures and demanded that the government halt the construction of the mosque. Tbilisi City Hall answered that what was being constructed was a residential block, but when a mosque-like dome appeared among the other structures, work was halted. Today, Salafis, who are called Wahhabis by the other inhabitants, gather in the basement of the unfinished mosque. The half-finished mosque is close to the village school and Salafis use it for praying. 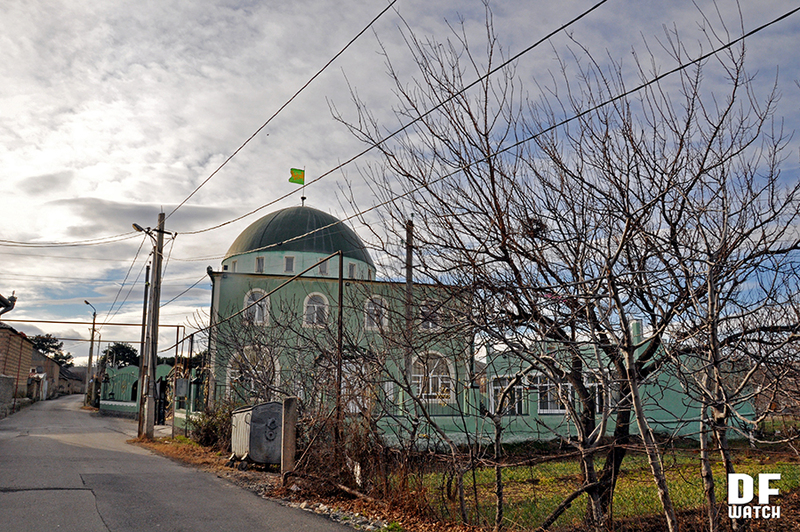 Shia go to a separate Mosque constructed in 2008 in the center of the village. The division between the the two groups of villagers is increasing day by day. They don’t attend each others weddings or funerals, and sometimes don’t even greet each other. Locals avoid talking about Wahhabism. Some of them, who see themselves as traditional Muslims, say that it is dangerous to discuss this issue. It is not safe and the example is the murder of Pikrat Akhmedov. Radical Sunnis react with irritation when someone refers to them as ‘Wahhabi’. They claim their belief is ‘true Islam’. Everyone in the village is aware of the murder, which happened during the New Year’s holiday, but many are reluctant to discuss it with strangers. People here do not want their names to be mentioned in the media. We tried to talk to Sunnis about the murder, but most of them refused, sometimes explaining that they could not speak neither Georgian nor Russian, which is a lingua franca in the Caucasus. The narrow streets of Ponichala are mostly empty. Some people hurry home, ignoring the journalists or refusing to talk. A man riding a cart allowed us to take a picture of his donkey, but refused to be in the picture himself or answer any questions. Another local man stopped us and asked what we were looking for. He said there have been small squabbles in the past, which people usually blame on the Wahhabis, while in reality the conflicts had other causes. 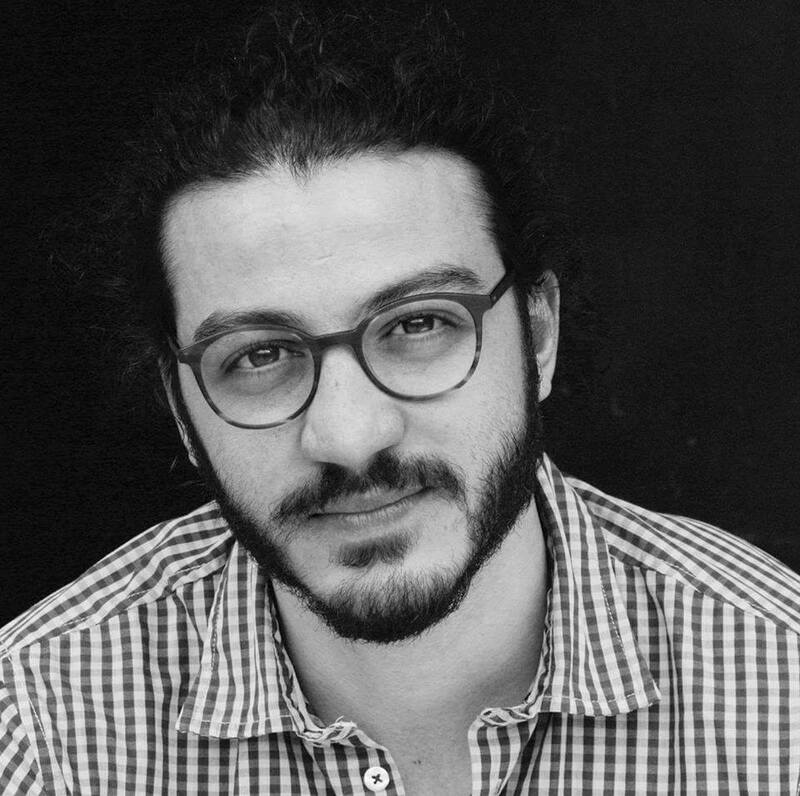 “Like last year, there was a wedding and a young Shia man was murdered. He had a fight with an old man whose son turned out to be Wahhabi. The son protected his father and killed the Shia boy during the fight. Since the murderer was a Wahhabi, people decided that the murder had a religious motive, but it was wrong. It’s the thing same now. They were old friends, Akhmedov and Isayev, and had some disagreement,” the man of about 25 told us. He added that he is a relative of the wife of the Isayev, the suspected murderer. 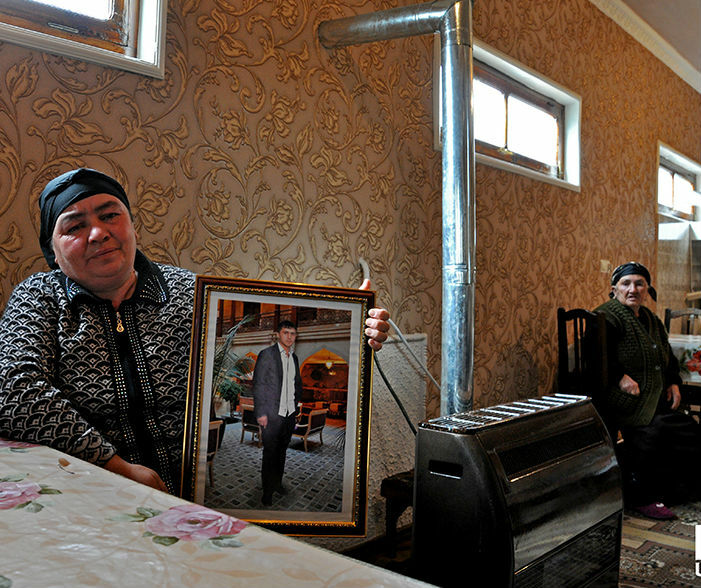 Our first destination in the village was the family of Pikrat Akhmedov. We met a local woman, who took us to the victim’s family. She was suspicious in the beginning, asking us which side we belonged to. Then she warned us not to mention her name or record her, as she felt afraid after the murder. 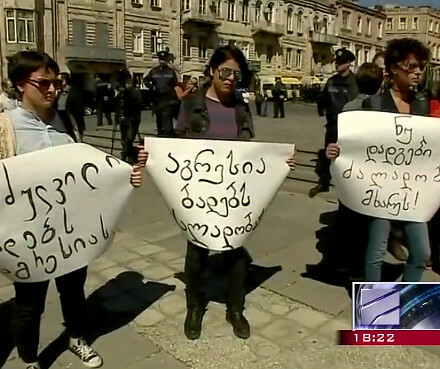 The only person who agreed to talk openly about the issue was the mother of the victim, Zarangul Akhmedova. “They told him ‘You’re a bozi’ (‘snitch’) for having given this interview,” Zarangul told DFWatch. “Later they called him and asked for a meeting. It was around noon when they visited him in the shop [where Pikrat worked] and killed him. The shop had a surveillance camera. The police showed me the recording. There is no sound, but I saw how two men came, told him something, and stabbed him twice with a knife. İsayev was my son’s friend. He used to come here every day. They used to go to the mosque together. The friendship fell apart last summer. 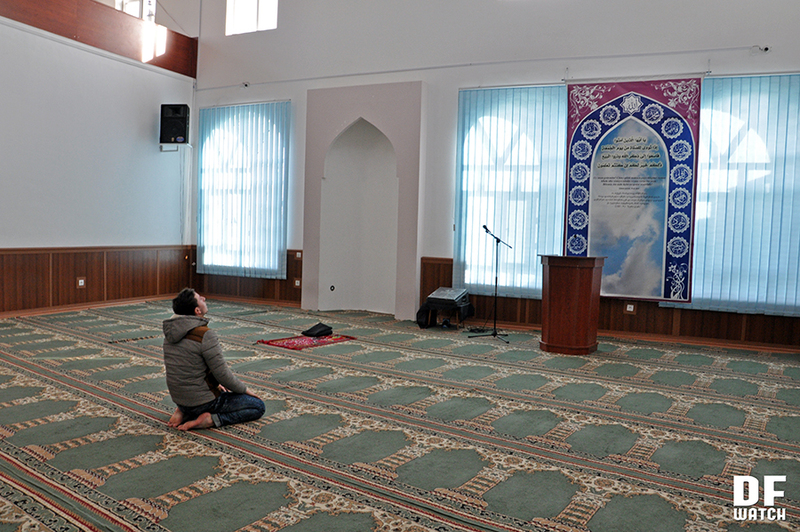 He wouldn’t come to our house nor to our mosque anymore,” Akhmedova recalls. She says the murder took place in front of a shop near a school, where there were about five people: her son, two of his friends and two ‘Wahhabis’. “It is all blame of that (TV) channel that they murdered the young boy. He didn’t want to give the interview, but they still approached him and asked what was happening in the [unfinished mosque] and he responded that they are gathering there. He was in hospital two days and then he died. He would have turned 23 in April. He planned to get married and even refurbish the house, but they killed the boy,” Pikrat’s uncle said, referring to a short comment Pikrat gave to Imedi TV, which was filming a documentary in the village about the Salafi mosque. According to the relatives of the victim, and many others in the village, the comment provoked the crime. The mother remembers that there was a fight after her son was murdered. Cousins, one of them a Wahhabi, and another one a Shia, were in a brawl over funeral customs. Pikrat’s mother also says that conflicts on religious grounds are very rare, because the village is divided into two separate parts, and Wahhabis and Shia barely communicate. Families are torn apart. It is common that there is division within families, for example that the father is a traditional Shia, while the sons are adherents of radical Sunni Islam. For instance, she points to the family her brother-in-law, who are ‘Wahhabis’ and, although living in the neighboring house, they don’t say hello to each other. Moreover, they didn’t attend Pikrat’s funeral, nor extend their condolences. Zarangul says that no single ‘Wahhabi’ in the village attended her son’s funeral. They cannot forgive the interview Pikrat gave, Zarangul concludes. She says lots of people go to the Wahhabi mosque, mostly youth. Some of them come from nearby villages. While we talked with Zarangul, Pikrat’s relatives appeared in the house and asked us not to mention their names. They said that ‘Wahhabis’ have been more active the last year. They used to keep a low profile, but now they feel more free and agitate more boldly. They are focused mostly toward young people, even children. “They offer money, even to little boys, to go with them. They give them 2 laris daily. What do kids want more?” a young man related to Akhmedov tells us, asking not to mention his name. He continues saying that the majority of youth have become interested in radical Islam. More than 500 people in Soghanlugh go to the new mosque, in a settlement that has 2,000 households. He offers us to return on Friday and see how many people go to the Wahhabi mosque and what kind of cars they own. The Shia we talked to said that Salafi youth often go to Syria – and return. 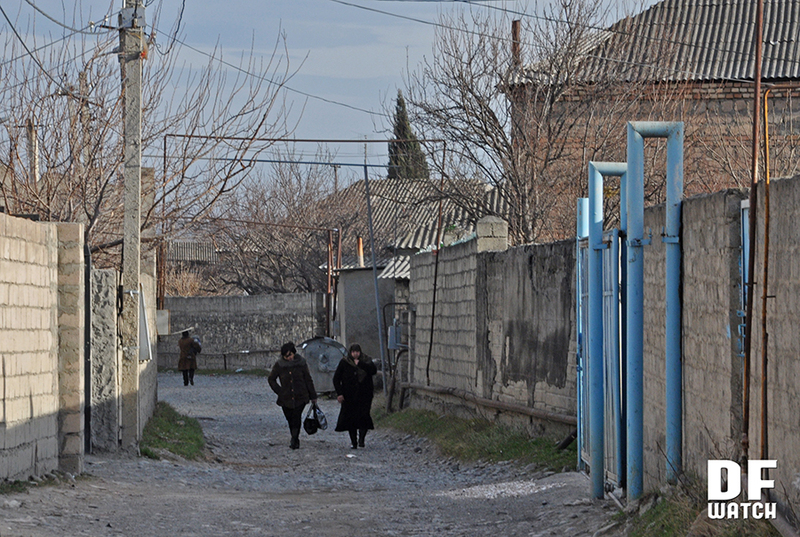 After visiting Akhmedov’s family, we went deeper into the village. People avoided us. We wanted to visit the family of Pikrat’s cousin, but he wasn’t home and his wife, who was wearing a hijab, didn’t talk with us, explaining that she could not speak neither Georgian nor Russian. 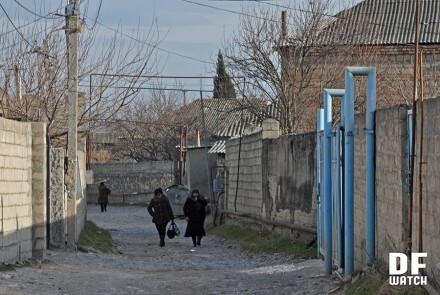 It was particularly difficult to find the house of Ramin Isayev, the murder suspect, since the houses here do not have numbers. We were told where the street was, but when we got there people said that they couldn’t point to the exact house. A boy in the shop instructed us at a distance, but refused to guide us, explaining that he was afraid and wanted to avoid unnecessary problems. Then a little boy helped us. We met Ramin Isayev’s mother, brother and other family in their home. Ramin’s brother Rasim has been living in Russia for a long time. He came to Georgia the day after the murder. He says he is a Shia and never knew his brother was a ‘Wahhabi’. He was surprised of how his brother could have murdered a long-time friend. “My mother has to lie in bed, still nervous about what happened,” he said. We asked whether his brother contacted him after the murder. “Is he a human after all?” he replied, referring that the brother with whom he never was in touch. During our entire visit to Soghanlugh, our two journalists – both women – fail to get local Sunnis to give an interview. The next day, a Friday, DFWatch visited the village again, this time represented by a male journalist, as we were told that it would be easier for a male reporter to communicate with Salafis. As people gathered at the basement mosque for Friday prayers, they told us that the murder didn’t have a religious motive but was a result of a confrontation between two people. One of them was willing to explain in more detail. “On the day the murder happened, Pikrat approached Ramin together with three other men in order to sort out some business matter. They hit Ramin twice. Before they managed to hit him the third time, he pulled out a knife and stabbed Pikrat. It was in self-defense and he didn’t mean to kill him, he only wanted to deter the attackers. It turned out that the place in which Pikrat was stabbed was very unfortunate. He died two days later in the hospital,” the unnamed person told us.